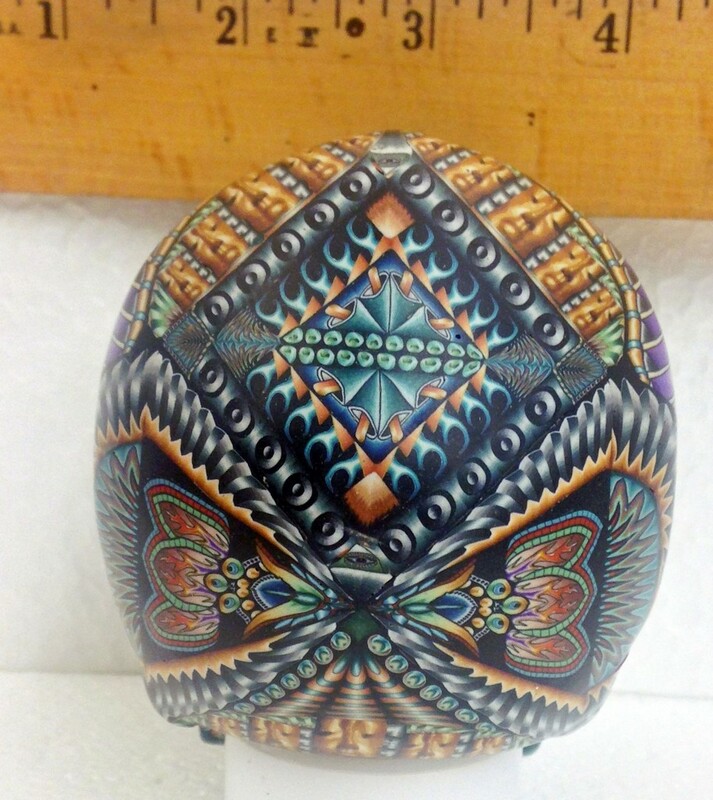 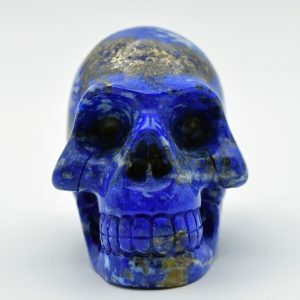 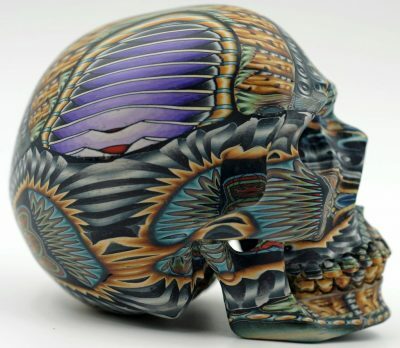 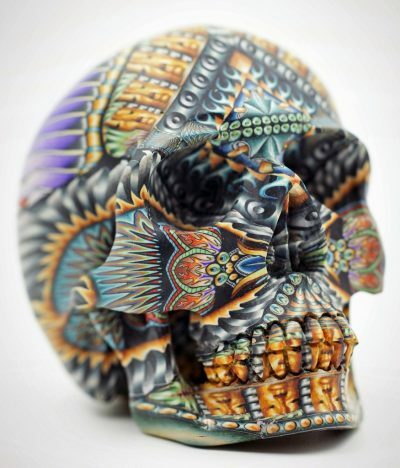 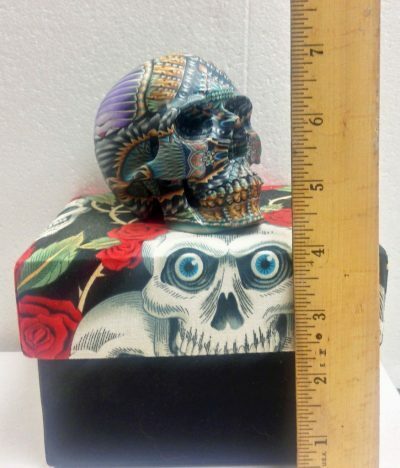 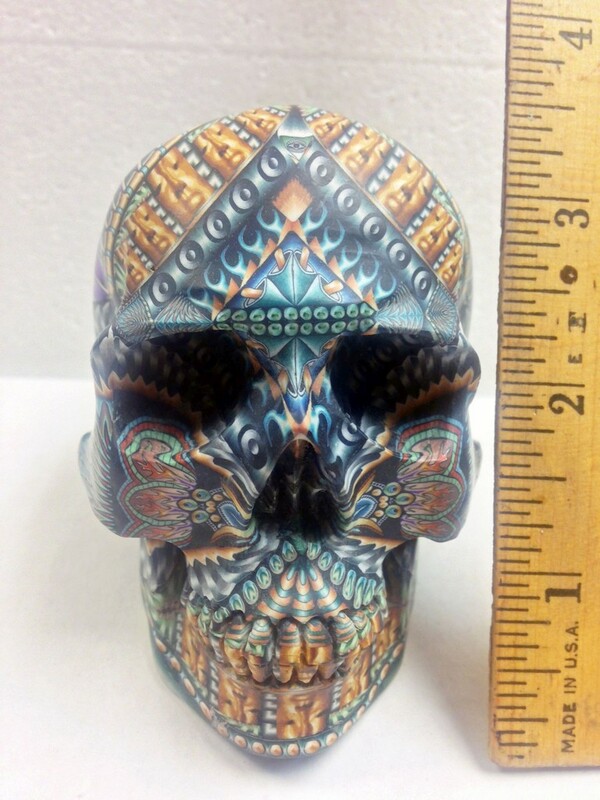 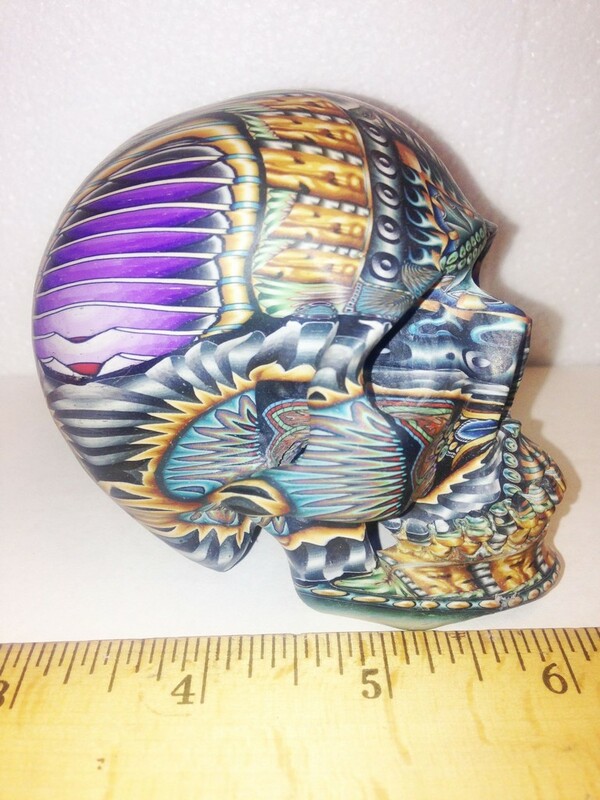 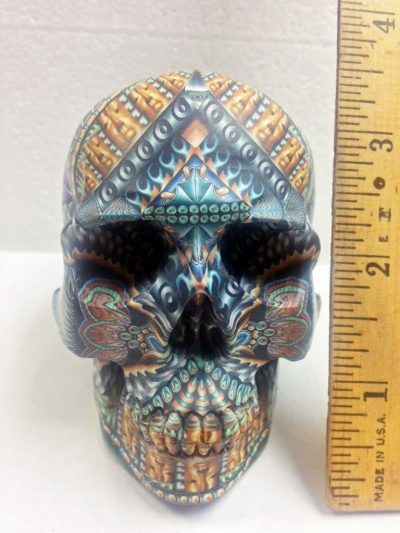 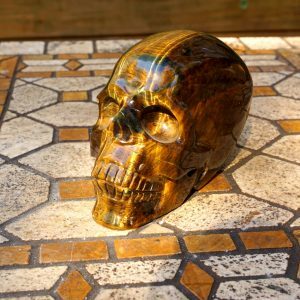 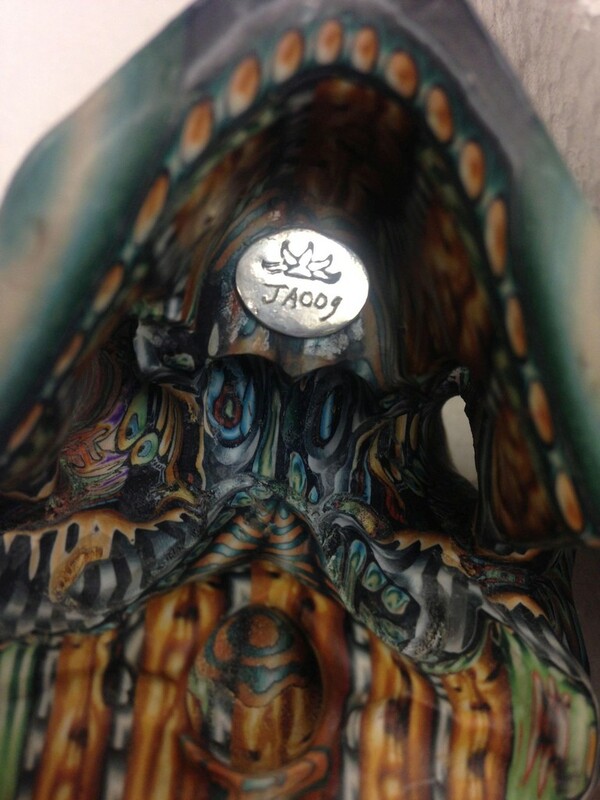 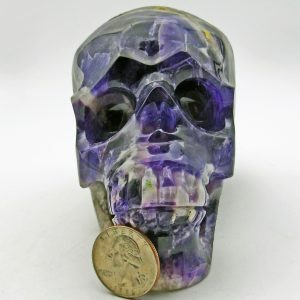 This amazing skull is hand crafted and designed from 100% polymer clay by Jon Stuart Anderson. 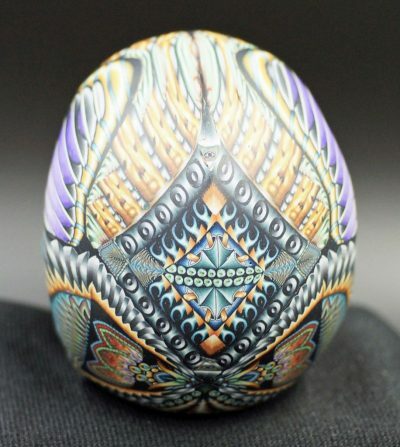 This highly collected polymer clay artist is renown globally for what first appeared on the USA arts and crafts scene as Fimocreations. These handmade, intricately detailed carvings, made with a millefiore technique, have been collected by fans all over the world!